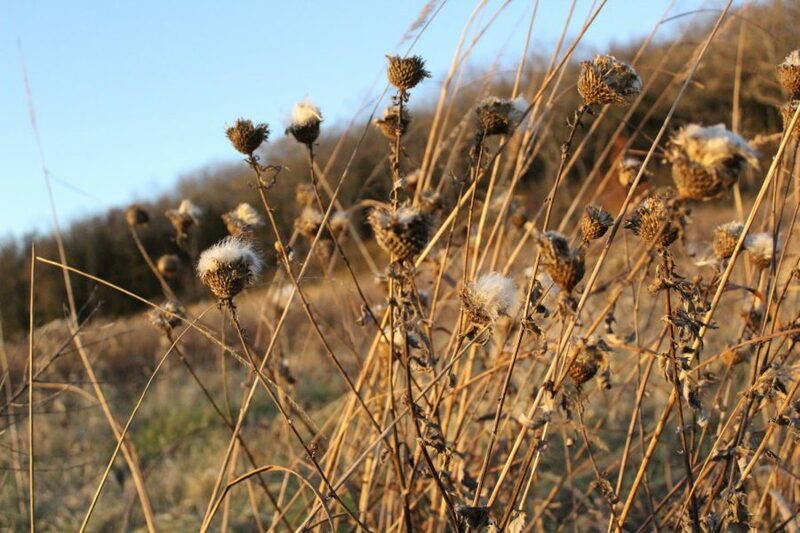 Anderson Prairie is full of plants in various stages of seeding as they prepare for winter. Anila Bano (‘20) and Nikita Daly (‘19) are arranging Luther’s first ever “Poetry and Place” competition. They hope this opportunity will bring Luther students and community members outside of their homes to enjoy the natural world. This contest will run through the fall semester and end in J-term. Bano and Daly held an informational booth outside of Valders 206 on Oct. 9. During their kickoff, Bano explained how this event began. “This summer I interned for the Land Care Outreach Program, and after that experience I was inspired to bring an event during the school year that would give people an opportunity to write as they enjoy the natural areas in Decorah,” Bano said. Assistant Professor in Biology and Natural Areas Land Manager Molly McNicoll is in charge of the Land Care Outreach program. When she heard that two of her former students in the program wanted to continue to work with the program in some way, she suggested this contest. 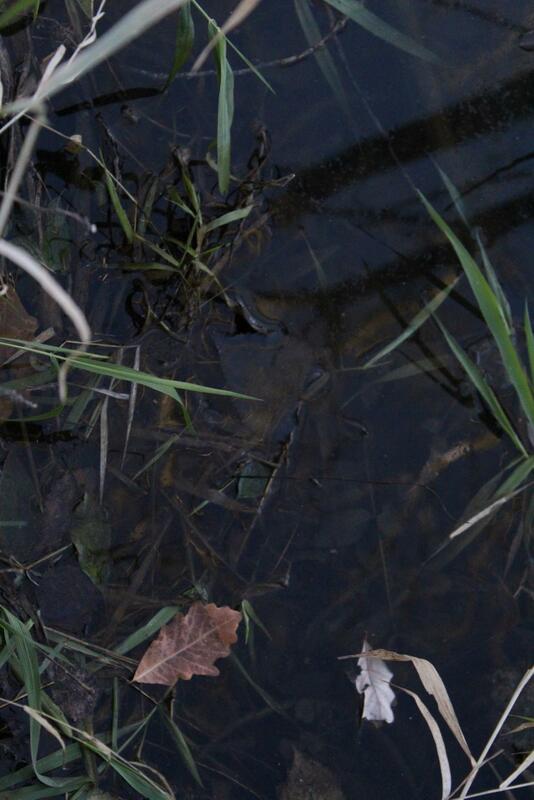 Leaves fall into the water at Lindeman Pond, one of the locations of inspiration for the “Poetry and Place” contest. A list of locations to visit for this contest are available on the Luther Natural Areas website. Baack enjoys exploring the nature around him and shared his favorite place to visit. People who want to participate can visit places like Lindeman Pond, which is often used for biology classes at Luther; Gateway Prairie, a prairie and oak savannah; or Spilde Woods and Hickory Ridge Woods, which are both home to oak, hickory, walnut, and maple trees. Fourteen choices of locations to write about are offered, all of which are connected by a five-mile hiking trail. The map for the hiking trail can be found on the Recreational Services webpage under “Trails.” Bano explored many of these locations and explained why Lionberger Environmental Preserve is her place to go. 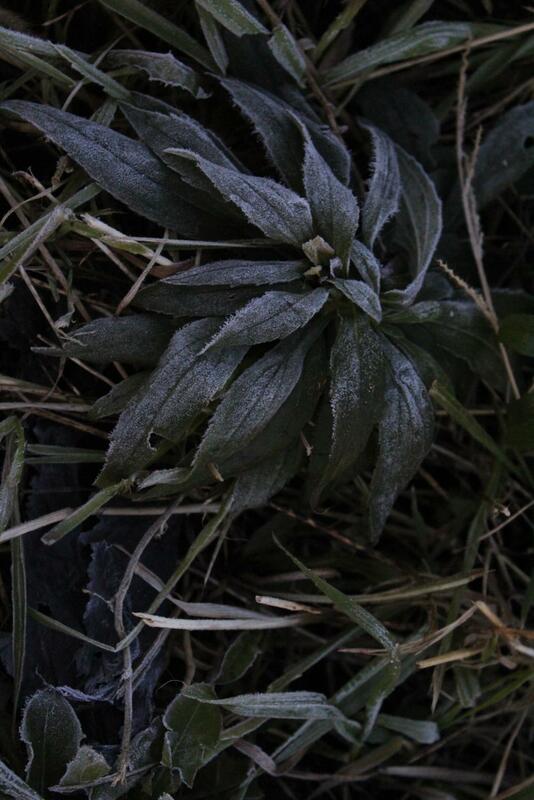 The chilly mornings are beginning to leave frost on plants, like this one near Roslien woods. Lionberger Environmental Preserve is located five miles west of campus. The preserve starts up a hill, and once the hiker has reached the bottom, they arrive at a valley. Plenty of trails are available at this location, as well as wildlife and muddy holes when it rains. Lionberger advertises itself as an opportunity for students to explore and to get away from college life for a while and surround themselves with trees and the sounds of Decorah’s wildlife. “Poetry and Place” encourages Luther students to explore nature for several reasons, including to introduce students to unfamiliar parts of Decorah. Although Bano and Daly are hoping Luther students will be the main entrants of the contest, everyone is welcome to submit a poem. One or more of Luther’s natural areas must inspire the poems. These particular locations were chosen because everyone has access to them. If inspiration is needed, there are prompts located on the Land Care Outreach Fall 2018 Poetry Contest section of Luther’s website. Works must be submitted by Jan. 15, 2019. Winners from this event will have their poems posted on the Land Care Outreach Program website that is currently unavailable until the spring of 2019. Next year, during the month of February, the Outreach Program is also hoping to host an event that showcases the winning poem from “Poetry and Place.” The contest winner will receive a prize that is still to be announced.